Your message has been sent to Ronnie D Long Bail Bonds . Like authorSTREAM? Give us a +1! Expect nothing less than to be treated with understanding and respect when you turn to Ronnie D Long Bail Bonds in your time of need. Call us now - 817-834-9894. 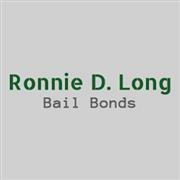 Ronnie D Long Bail Bonds's Podcasts ..